Charles Darwin "It is mere rubbish to talk about the origin of life; one might as well talk about the origin of matter." The probabilities of life forming through purely random processes is so remote that Darwinists are at a complete loss for an explanation. To avoid the issue they often insist that the origin of life and biological evolution are separate issues. However, theory of evolution must (and does) include a theory of the origin of life, much as stellar evolution also postulates a mechanism for the birth of stars. It therefore appears that intelligent design is more reasonable explanation for the existence of life than the evolutionary model. At present, each model still requires faith and currently falls outside of the realms of science since neither has been observed nor have they been proven by experimentation. Arguments from inexplicability: purporting to show that there is currently no explanation or demonstration of naturalistic abiogenesis, and that belief in it is a matter of faith and speculation, rather than science. On this point creationists would find themselves in complete agreement. Theories concerning molecular evolution generally assume molecules naturally coalesce in to macromolecules during times when both their concentration, and their atmospheric conditions favor such contact. In 1924, Alexander I. Oparin determined which chemicals must be in the earth's atmosphere for amino acids to form (e.g. methane, hydrogen, ammonia) and which chemicals would prohibit the formation of amino acids (e.g. Oxygen). In the 1950s, Stanley L. Miller performed the first experiment attempting to reproduce these conditions. Methane, ammonia, hydrogen and water were placed in a flask that was subject to an electrical discharge. After several days, the experiment yielded several organic compounds including amino acids. Other researchers repeated these experiments using different energy sources such as UV, and other presumed primitive atmospheres. When hydrogen cyanide was used, even nitrogenous bases were obtained, which are a component of the building blocks for DNA. Diagram that depicts the experimental set-up of Urey-Miller. By passing electrical sparks through mixtures of hydrogen, methane, ammonia, and water vapor, scientists produced several amino acids, the building blocks of organic life. However, in all of these experiments that attempted to produce life's building blocks, molecular oxygen was absent. The earth possesses an oxygen rich atmosphere, and even the oldest rocks contain oxides, which is evidence that they were formed in the presence of oxygen. In fact, oxides have been found in rocks supposedly 300 million years older than the first living cells. Oxygen is produced by all photosynthetic organisms, and is required for metabolism by all life forms except a few microorganisms. A hydrogen-rich reducing atmosphere was used in these experiments only because amino acids and nitrogenous bases simply will not form spontaneously in an oxidizing environment.Interestingly, in his experiment of passing an electric spark through his simulated atmosphere, Miller saved the amino acids he produced only because he removed them from the area of the spark. Had he left them there, the spark would have decomposed them. 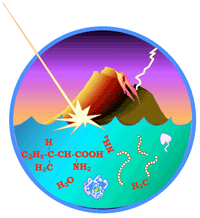 Moreover, assuming the amino acids survived the destructive ultraviolet atmosphere of primitive earth and reached the ocean to form a theoretical "organic soup," further chemical reactions would not have been possible as bodies of water are not conducive to the necessary chemistry.Another problem arises in relation to the amino acids that were theorized to have generated by chance. Even the correct sequence of the right amino acids is still not enough for the formation of a functional protein molecule. Each of the 20 different types of amino acids present in the composition of proteins must be "left-handed." Yet, while some amino acids are "left-handed," others are "right-handed." Should they be formed at random in a "organic soup," it is most likely that they would occur in roughly equal proportions. The question of how a specifically required combination of "left-handed" amino acids could unite by chance, while excluding "right-handed" amino acids, constitutes an impasse for abiogenesis.Nevertheless, many evolutionists still believe that experiments like Miller's have shown that life could have begun by fortunate interactions in the early Earth. Spontaneous generation was the original theory that proposed life could originate from nonliving matter. It is now well known that the spontaneous generation of life in our present ecosystem is impossible. Louis Pasteur abolished the theory of spontaneous generation in 1859 because he believed that life was far too complex to have originated instantaneously from nonliving matter. He simultaneously established the theory of biogenesis (the origin of life from preexisting life). Within ten years of Pasteur's experiments Thomas Huxley had coined the term abiogenesis. Observations and experiments have proven conclusively that all recognized life forms are produced by preexisting organisms or life forms, called the law of biogenesis. Despite the absence of substantiation for the theory, abiogenesis has become accepted by nearly all practicing scientists. The hypothesis of abiogenesis remains virtually unchanged since its inception in the 1920s, and assumes that life originated at some point in earth's past under conditions no longer present. This particular tenet of evolution can be summed-up by the phrase "abiogenesis at first, biogenesis ever since". It is taught today as a certainty, although the exact mechanisms remain theoretical. Discussions in evolutionary biology textbooks go to great lengths to demonstrate how abiogenesis could have occurred under multiple primordial scenarios. A way that oxygen-producing lifeforms can survive without ozone. The amounts of these chemicals are tiny—far too low to contribute to biological processes. 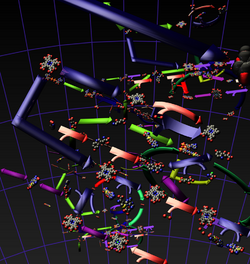 The wide variety of compounds in itself counts as evidence against chemical evolution. Even with pure compounds used in experiments, the results are meager, so how much worse would they be with the contaminated gunk produced in the real world? Sugars are very unstable, and easily decompose or react with other chemicals. This counts against any proposed mechanism to concentrate them to useable proportions. Living things require homochiral sugars, i.e., with the same handedness, but the ones from space would not have been. Even under highly artificial conditions, there is no plausible method of making the sugar ribose join to some of the essential building blocks needed to make DNA or RNA. Instead, the tendency is for long molecules to break down. Even DNA or RNA by themselves would not constitute life, since it’s not enough just to join the bases (‘letters’) together, but the sequence must be meaningful—and this sequence is not a function of the chemistry of the letters. Even the correct letter sequence would be meaningless without elaborate decoding machinery to translate it. Unless the decoding machinery already existed, those instructions could never be read. Similarly, this book would be useless to a non-English-speaker, who may know the Roman alphabet but lacks knowledge of the code of the English language to convert letters into meaningful concepts. If indeed a self-replicating lifeform is, at some future date, created in the lab, its plausibility and actual manifestation of a mechanism for the origin of life was made possible through deliberate design of intelligent minds. There will still be no known process acting in nature to produce life from non-life, therefore, abiogenesis seems out of the realm of empirical science. Furthermore, the extreme complexity of all lifeforms seems to point in the direction of an established Intelligence outside of nature. The Intelligence designed life to be governed by what are observed natural mechanisms or processes that enable diversity. This is perhaps why Francis Crick (one of the Discoverers of DNA) and Leslie Orgel (a microbiologist) proposed the theory of directed panspermia: the belief that life came to earth from outer space.The origin of life conundrum has scientists theorizing that life might have begun on some other planet (See: Panspermia). The theory is currently experiencing a revival and much of the research currently underway by NASA is an attempt to discover signs of life on other planets, such as Mars. If found, however, this would not explain the origin of life, but merely push the question to a more distant location. ↑ Index to Creationist Claims: Claim CB000 by by Mark Isaak, Talk.Origins. 2004.